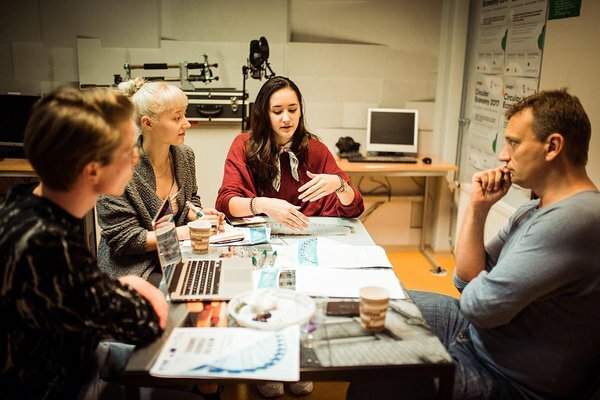 UT Idea Lab | IdeaLab’s Mentor Feedback Carousel helps to unite startup community! IdeaLab’s Mentor Feedback Carousel helps to unite startup community! 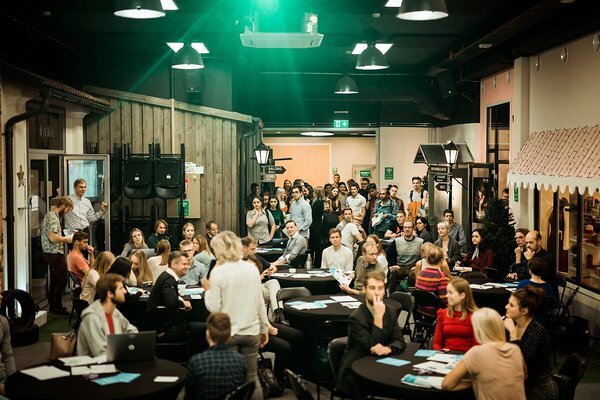 On 18th of October IdeaLab hosted a Mentor Feedback Carousel which brought together over 130 people, 37 teams and 16 mentors! Teams got feedback to their idea from different experts and by the end of the event, mentors gave play money checks to the teams they liked the best. The overall winner of the Mentor Feedback Carousel was team Vetik from Tartu Biotechnology Park! One of the awards was a direct pass to Ajujaht TOP100! 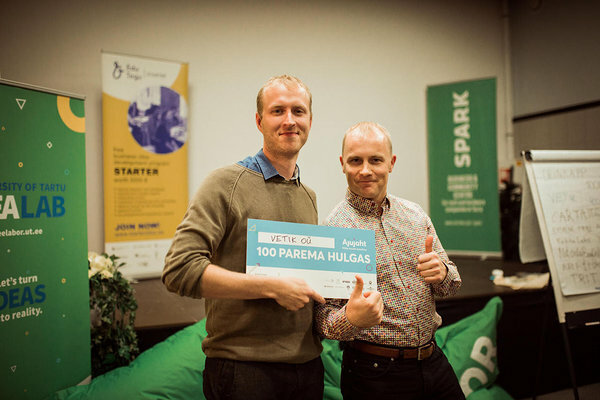 Harri Tallinn, from Ajujaht gave this award to team Vetik from Tartu Biotechnology Park accelerator. Vetik helps natural cosmetic producers solve the insufficient choice of natural red colorants by bringing a new red colorant to the market. By the way – they were the last team to register to the event. This just proves that you need to get up, show up and never give up! Vetik was also the winner of the Play Money game. All mentors got the play money checks – 100 000 €; 50 000 €; 10 000 €. By the end of the day, they all gave their favourite teams „investments“. Team Vetik got 400 000 € play money investment, team Ketita Labs got 360 000 € play money (they are working on hybrid quantum-classical neural networks) and third place was shared by teams Cartattoo, make It Smart and TRIT with 200 000 € play money investment. Mentor Feedback Carousel was IdeaLab’s STARTER programme mid-term evaluation day that was open for all the teams that wanted to get feedback. 15 teams were from IdeaLab’s STARTER programme and the rest 22 were from the universities or different accelerators. It was a true sTARTUp community event! 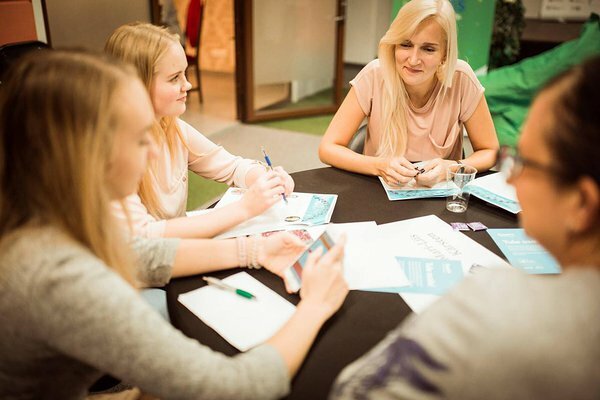 Silvia Linnuste from team Pick and Drive: "Mentor Feedback Carousel gave our idea a new perspective. We heard positive feedback and also got to know some problem areas of our idea. But we also got already some ideas on how to solve those problems." 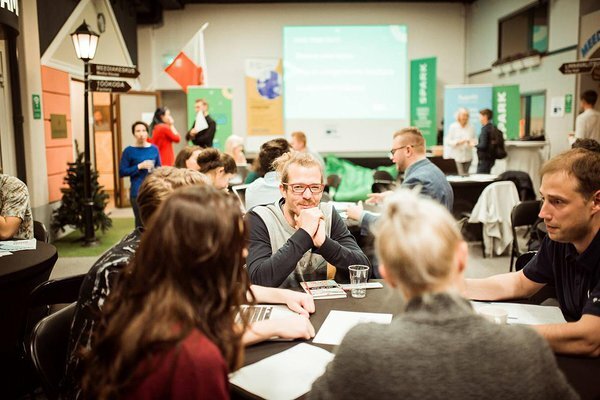 Idealab would like to thank all the mentors: Vaido Mikheim (Tartu Science Park), Taavi Tamm (STARTER@Pärnu), Sven Parkel (Tartu Biotechnology Park), Aivar Pere (University of Tartu), Urmas Tross (LMP), Martin Vares (Fractory.co), Harri Tallinn (Ajujaht), Siim Kinnas (EAS), Denis Kovalenko (STARTER alumnus), Sven Anderson (Brandlyse), Sven Illing (sTARTUp Day), Alo Peets (University of Tartu), Yrjo Ojasaar (Change Ventures), Kristian Sägi (Nevercode/EstBan), Mari-Liis Kärsten (Nortal), Mart Salumäe (Decomer Technology). Next up: Product & Service Design workshop on 1st of November at SPARK HUB. It will be led by Markko Karu. More information on IdeaLab website. The event was funded by the European Social Fund. The event was funded by EIT Health.